Mozambique - Holly L. Lutz, Ph. 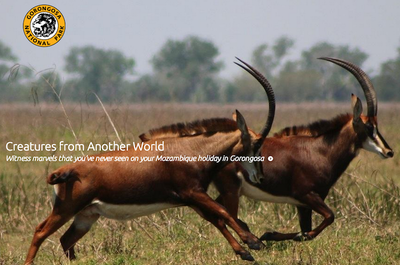 D.
Located at the southern tip of Africa's Great Rift Valley, Gorongosa National Park is home to an astounding diversity of animals and plants. Once known as "the place where Noah left is ark", wildlife populations were decimated by nearly two decades of civil war. Conservation efforts to restore the park are currently underway, with the support and cooperation of many organizations, most notably that of the Carr Foundation/Gorongosa Restoration Project. In 2011, the Field Museum of Natural History was invited to conduct biodiversity surveys on Mount Gorongosa - a recent addition to the park, and a crucial source of water for the surrounding lowlands. 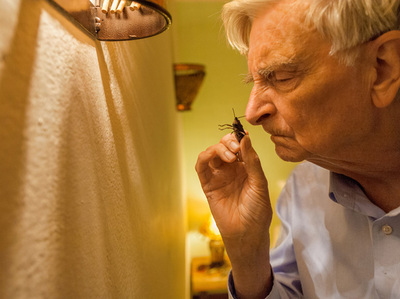 Our surveys of bird and mammal diversity complemented E. O. Wilson's insect bioblitz. and shed light on the current condition of Mount Gorongosa's ecosystems. 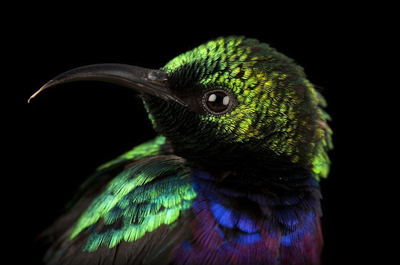 For a short time we were joined by National Geographic photographer Joel Sartore, who documented Wilson's bioblitz and photographed animals from our survey. To learn more about the biodiversity and restoration of Gorongosa National Park, follow the links below. Documentary filmmaker Federico Pardo joined us in 2011 expedition to document our research on Mount Gorongosa. His film, "Discovering Mount Gorongosa" was the recipient of the 2012 AAAS Scientist Award at the 5th annual Imagine Science Film Festival.